Silent Death , I'm in prison for the past 20 years and no one speaks about me ! Mohammad Nazari is charged for being a member of " Kurdistan Democratic Party" when arrested and had served 20 years in prison and he says ; "i did not participate in any armed struggle against the regime and during my imprisonment ,i wrote many letters to the officials explaining about my innocence, he asked everyone to hear his voice and to inform others about his situation.He says, because of long time imprisonment i did not know about mobile phone and internet and for the first ,i heard about internet from an engineer who was in prison and i am like a person lived in Cave. 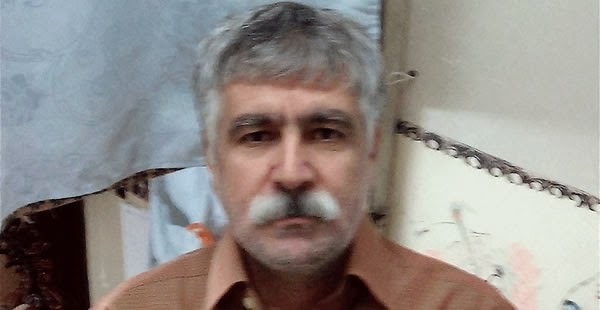 Mr. Mohammad Nazari is in ward # 4 of Rejaei- Shahr prison in the city of Karaj. "When arrested i was 23 years old and now i'm 42 and Mr. Mohammad Yazdi was the head of judiciary . The day i was arrested ,i was at my sisters home in the city of Bukan and they alleged that i'm a member of Kurdestan Democratic Party and the judiciary did not allow me to hire a lawyer to defend me and in a kangaroo court they sentenced me to life imprisonment. I spent the first 9 months of my imprisonment at the ministry of information jail and the rest at Rejaei-Shahr. Despite of Threat by Regime,People gathered at the House of two Iranian -Arab hanged by regime ! Despite of Threat and warning to the families of two Arab-Iranian political prisoner who were hanged this week for quick / silent ceremony for their loved one,people from the city of Khalife gathered at the home of Hadi Rashedi and Hashem Shabani and chanted anti regime slogan. Ministry of Information gave the families 24 hours to mourn in silence and end when the time is over ,but despite of threat the Arab-Iranian youth carrying the pictures of two and chanted anti regime slogan. Islamic regime in Iran hanged two more Arab-Iranian activist.According to news coming from Iran ,Mr. Hashem Shabani-nejad and Mr. Hadi Rashedi are two Arab-Iranian who were arrested and detained a year ago and believed to be executed by regime . According to Mr. Karim Dahimi a human rights activist who spoke with Radio Zamaneh said, today the officials at the Ministry of Information office in the city of Ahwaz called and told to the families that their sons were executed three days ago. More than 770 Iranian Journalists Asked President Rohani to Give Order to Reopen their Association ! 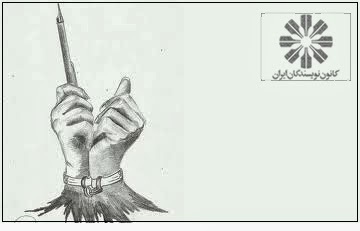 More than 770 Iranian Journalists demanded for the opening of their Association. The Association of Iranian Journalist was shut down by Judge Said Mortazavi on 2008 and up to now despite of many request it remains closed. President Rohani in his election campaign promised for openness and now after more than 100 days in office journalists are asking him to help open their association. 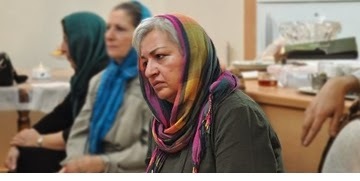 Under Rohani's Government ,the Iranian Writers can't hold their monthly meeting ! The statement also criticized the stereotype of the regime for deceiving public and mentioned ,the association will continue their struggle for free expression without any interest in leaning to regime . The Association of Iranian Writers was founded in 1968 and all these year the association was under pressure by both the regime of Shah and the Islamic regime. (Beirut, January 21, 2014) – Iranians are facing serious rights abuses, despite President Hassan Rouhani’s numerous promises to respect people’s rights following his June 14, 2013, electoral victory, Human Rights Watch said today in its World Report 2014. President and Founder of the Association of Economists is Arrested ! Mr. Ali Rashidi the leading member of Iran's National Front is arrested! 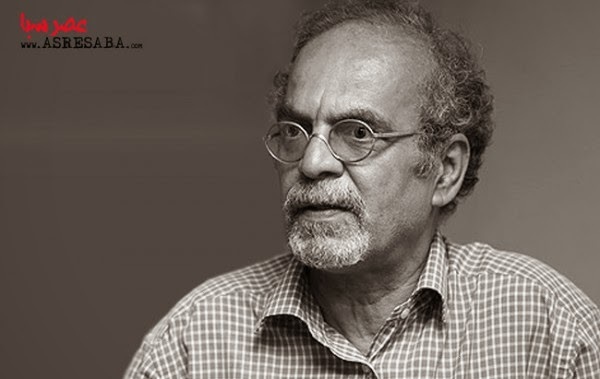 Doctor Ali Rashidi president and founder of the Association of Economists in Iran is arrested. Mr. Rashidi is also a leading member of Iran's National Front and a professor. 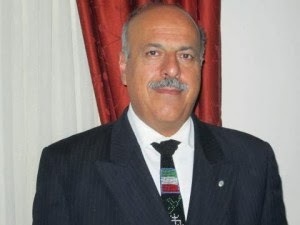 Mr. Rashidi is sentenced by infamous judges Salavati in a kangaroo court to two years imprisonment and five years ban from all social ,political and professional activities and he is transferred to Evin prison. Mr. Molaei the lawyer of Mr. Rashidi also received the judgement on his client. The only crime of Mr. Rashidi : His knowledge , his critical views on corruption in the Islamic regime in Iran and because of being a patriot . But judge Salavati accused him of : Insulting the official , propagating against the regime and Activities against national security. Within the Revolutionary Courts, three judges – Abolghasem Salavati, Mohammad Moghiseh and Pir-Abbasi – stand out for their role in presiding over joint and individual trials involving hundreds of defendants. Although some of these trials were held in public, the three judges remain shadowy figures. It is unclear what their legal backgrounds are, or how they came to be appointed. There are no pictures of Moghiseh or Pir-Abbasi, and they do not appear at public events. Pir-Abbasi’s first name is not even known. Farzaneh Taheri Translator and manager of Golshiri Foundation : " We are Hopeful but Not Excited "
Recently president Hasan Rohani had a large gathering with Iranian artists ( Writers, film makers , musicians , actors , painters .....) and in that meeting few representatives of artists had chance to speak as guest speaker and they have brought their concerned issues and difficulties to Rohani's attention and then lastly president Rohani spoke and asked artists to create happy and hopeful atmosphere in the society. He also promised to solve some of their problems. Iranian are divided on this meeting and one side did criticized artists meeting with Rohani. "I see this meeting as a prescribing type of meeting and prescribing type of look to the art has negative effect on art and it has damaged us for many years and i don't agree with it ." "What the artist want to write is something else but you should bring hope among people with your actions." On the outside condition, i learned to be less hopeful and this way the damage is less.We are hopeful but not excited ." 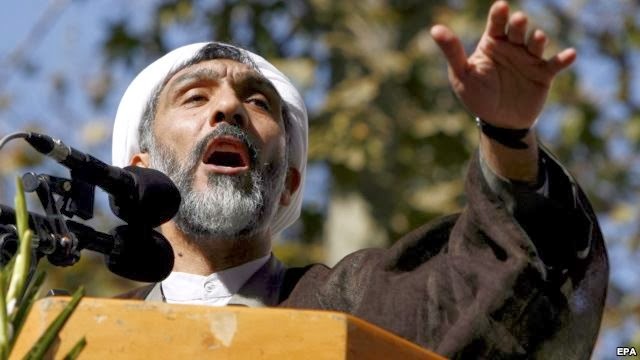 Attorney General of the President Rohani's Government: " Ahmed Shaheed is corrup and a political toiler "
"Ahmed Shaheed is a corrupt person, he is not a lawyer at all and he entered into this position as a political toiler and from the very beginning took position against Iranian nation. Originally we are opposed to the report because we have a special position in the world on human rights ." He said: "The main problem of the west with us is the human rights issue and the nuclear energy and terrorism fall next ." Five years ago Khamenei the leader of the Islamic Republic regime in Iran travelled to Iranian Kurdistan and 10 Iranian kurd were arrested shortly after and one or two months after their arrest a hig ranking Kurdish clergy "Mamosta Shikholeslam" member of the Assembly of Expert was assassinated and regime charged these 10 peoples for involvement in his killing , six of these ten people were put to death last year ( while at the time of the assassination they were in prison)and four left awaiting the death. These four people are on hunger strike since December 2013 . The report says: They were not involved in the assassination and they were not guilty of any crime . Some of them were put to death on charges of drug trafficking. According to report some of them did not know each other. 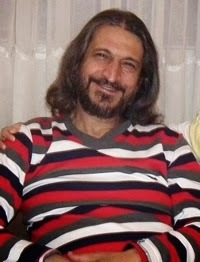 Hashmatollah Tabarzadi Is arrested today at his home in Tehran . His arrest came from prosecutor's office and Mr. Tabarzadi said ,he would go on hunger strike. "Jebheh Democratic Iran " Iran Democratic Front reported today about his arrest. According to their report, the agents of prosecutor attended at Mr. Tabarzadi's home and arrested him. In recent days he was asked by the prosecutor's office to return to prison but in protest ,he refused to return to jail. Mr. Tabarzadi warned if he is being treated badly he would go on hunger strike. Mr. Tabarzadi suffers from high blood pressure and blood sugar and he need to be under physician care. 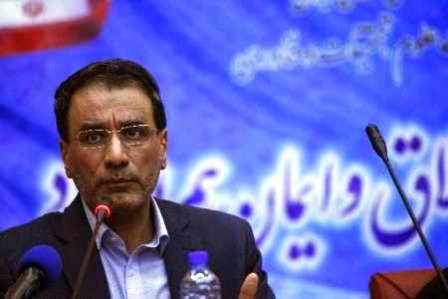 Mr. Tabarzadi has spent many years in prison in the past since student uprising during Khatami's presidency. 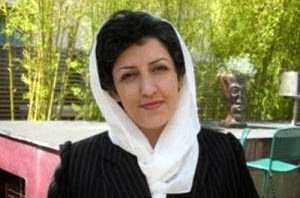 In a interview with the International Campaign for Human Rights in Iran, Narges Mohammadi, human rights activist and spokesperson for the Defenders of Human Rights Center, acknowledged that the Citizen Rights Charter was a positive step, but noted that the draft document contained many serious shortcomings that needed to be addressed. Noting its benefits, Mohammadi said that the draft Citizenship Rights Charter presented by Hassan Rouhani was in some respects a positive step. “Preparing the Charter and seeking the people’s opinions is a positive thing. 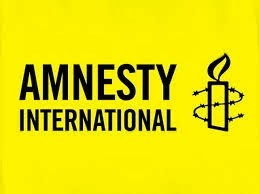 It appears that after eight years of Ahmadinejad, in which human rights and citizenship rights were not considered and laws were consistently violated by the government, now the Rouhani administration is after enforcement of the laws and improvement of Iran’s image in international and national arenas. What can be important for us is that in the last pages of the Charter it is stated that the government intends to inform and educate the citizens about their rights. Considering this, if, with the many tools it has at its disposal such as higher education, the state radio and television, cultural centers, and civil organizations, the government acts successfully at least in the area of educating the people about citizenship rights, it has accomplished a very positive thing, something our society has needed for years,” said Narges Mohammadi. However, Narges Mohammadi told the Campaign that the one-month window to seek people’s opinion in a society where citizenship rights have been suppressed for years is too short. She also noted that, “If the President agrees to have a national dialogue about citizenship rights so that he can hear people’s real and honest opinions, security issues must be reduced in the society so that people can find the courage to express their opinions. Otherwise, in the face of what itself is a huge violation, they will not be able to accomplish much,” said Mohammadi. “It is very important for every Iranian citizen, whether old or young and a resident of villages or cities, to learn that the government has a series of obligations in protecting [its] citizenship rights. We do not know to what degree the Guardian Council and the Parliament will support the approval of this Charter, and how far Rouhani will be able to bring them along. But even this accomplishment can be considered a positive step, where at least the citizens are educated about their rights and the government’s obligation to observe their rights,” added the Spokesperson for the Defenders of Human Rights Center. “There are [other] serious problems with this Charter. The Charter points out that help from civil organizations was used in writing the draft, but we do not know exactly whom they mean by civil organizations. Are they public civil organization or organizations affiliated with the government? If civil organizations really had a part in drafting this Charter, why haven’t there been any reports from them to the people? For example, I know that no recognized women’s rights activist has provided advice on the section pertaining to Women’s Rights in the Charter,” Mohammadi told the Campaign. “In another part of the Charter, there is an emphasis on the people’s right to participation in order to determine their social destiny, but I didn’t see any reference to the citizens’ right to political participation. Throughout this Charter, the use of the word ‘political’ is avoided! I question why there are no headings throughout this Charter about the citizens’ right to participate in the political destiny of their country, and, for example, the right to demonstrate and protest. Even Article 26 of the Iranian Constitution emphasizes this right of the people. Also, in the Universal Declaration of Human Rights, which Iran has accepted, it is stated that everyone has the right to freedom and to peaceful assembly. But there is no talk about this in the Charter and their citizenship rights are considered [without affirming] their political rights, and this is a clear violation of human rights,” added Mohammadi. Narges Mohammadi also criticized the draft Charter for putting the women’s section under the heading of “Family, Women, Children, and the Elderly.” “It is inappropriate for women to be included under the headings of the elderly and the disabled. If the role of this Charter is really to inform and educate the citizens about their rights, there should have been special attention paid to half of the population who are women. The rights of half of the society are now abused and there are different forms of violence against women. Shouldn’t this Charter have had a section on violence against women or on safe houses, or to have invited women’s rights activists in its organization?” asked Mohammadi. “In addition, as an organization, shouldn’t the Iranian Journalists Association have held several news conferences on this subject? But its door has been sealed and it cannot do anything. If Mr. Rouhani cares about people’s opinions in finalizing this draft, he should look at civil society more seriously. The number of seminars and dialogue on this subject could be an indication of how secure the Iranian civil society feels in engaging in a dialogue with the President. There should have been more opportunities for public reactions to this text. If Rouhani is interested in people’s opinions, he must open up the atmosphere in the society,” concluded Narges Mohammadi. would show some flexibility,” said Ghasem Sholeh Sadi. Ghasem Sholeh Sadi, lawyer and former Member of the Parliament and political prisoner, told the International Campaign for Human Rights that he is somewhat optimistic about the consequences of the draft Citizenship Rights Charter presented by President Hassan Rouhani in November. “As the Citizenship Rights Charter is based on the Islamic Sharia principles, we cannot be that hopeful about it. In the past, whenever an article of the law related to human rights or citizenship rights has been discussed, almost immediately it has been augmented with the term ‘Islamic.’ Therefore, the laws have become devoid of the same meaning the rest of the world would understand from them, and therefore they would have to be scrutinized based on Islamic Sharia. For example, corporal punishment is prohibited based on human rights and citizenship rights principles, but we have flogging and stoning in Islam. Therefore these charters and others like them can only have a psychological effect on the society,” said Ghasem Sholeh Sadi. Ghasem Sholeh Sadi was a law professor who was dismissed from his position. He also served twice as a member of the Iranian Parliament. 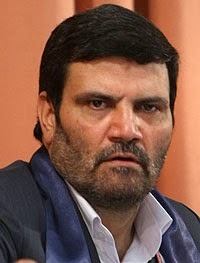 On April 3, 2011, Ghasem Sholeh Sadi was sentenced to one-and-a-half years in prison and a ten-year ban on his law and teaching practices on charges of “propaganda against the regime” and “insulting the Supreme Leader,” after he wrote a critical letter to Iran’s Supreme Leader, Ali Khamenei. He was released from prison in August 2012, upon completion of his prison term. 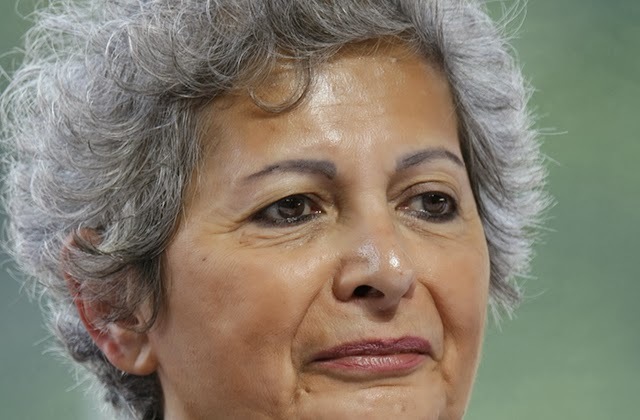 Sholeh Sadi registered as an independent to run for President in the 2013 Iranian presidential election. Sholeh Sadi told the Campaign that the promises made in the Charter seem unrealistic. “It would be good if Mr. Rouhani is successful in delivering 1/10th of the promises he has made to the people. Considering the government’s limited power and authority within the Islamic Republic, the promises should be made at a realistic level; otherwise, if the promises are outside of the government’s authorities, naturally they will not be deliverable. It would be good if Mr. Rouhani can enforce a part of the citizenship rights in the society,” he told the Campaign. “Nothing in particular will happen after this Charter is written, but we can certainly expect some flexibility in the society. For example, we can expect the Intelligence Ministry to ease up on fabricating cases against the citizens. I happen to know the present Intelligence Minister. He is a rational man and the things he has said so far are somewhat compatible with human rights. Therefore we can be hopeful that they would show some flexibility,” said Ghasem Sholeh Sadi. “I don’t think ordinary Iranian people have any particular attachment to this Charter. In an exclusive interview with the International Campaign for Human Rights in Iran, lawyer and human rights activist Mehrangiz Kar analyzed the various problems with the draft Citizenship Rights Charter presented by Hassan Rouhani last November, saying it is a “hodge podge of things” that both repeats and contradicts the Constitution, and it needs a more careful review by law professors and students. “This Charter wants to please the Grand Ayatollahs, the international human rights organizations, Mr. Khomeini’s supporters, Mr. Khamenei’s supporters, and Mr. Khamenei himself. Under such circumstances this charter is a hodge podge of things with no head or tail,” she said. “Have those who expect people to provide feedback about this draft Charter ever thought to write it in such a way that it would encourage people to read it? For example, a citizen who has not studied law, and only likes Mr. Rouhani and voted for him, and who may all of a sudden want to read this Charter because of his affection for Mr. Rouhani, would not be able to read beyond the first few lines, in my opinion. Even though it is my job to read published documents and papers, I tried to read it several times but I couldn’t, until I finally finished reading it. It is full of repetition, slogans, and natter. In some parts it’s the same as the Constitution, in some parts it violates the Constitution; in some parts it’s based on the Universal Declaration of Human Rights, and in some other areas it is Mr. Rouhani’s personal ideals, and yet in other areas it cites other human rights documents,” said the rights lawyer. “I don’t think ordinary Iranian people have any particular attachment to this Charter. It’s only political activists outside Iran or a few analysts inside Iran who interview or talk about it. Ordinary people are not vested in this Charter, they know it’s just slogans and they are tired of slogans,” Mehrangiz Kar said about what ordinary Iranians think of Hassan Rouhani’s Citizenship Rights Charter. “When Mr. Rouhani says that he wants to guarantee citizens’ rights, he must remember that he cannot enforce this guarantee, just as Mr. Khatami couldn’t do it [before him], as the Iranian Constitution does not allow him to do it. He has not explained how he intends to guarantee it, either,” she said about the enforcement mechanisms of the draft Charter. Discussing the contents of the proposed Charter, Mehrangiz Kar said, “In a part of the Charter, it is mentioned, ‘Citizens have the right to enjoy physical and spiritual health.’ There should be a limit to this writing project! To begin with, what is the meaning of spiritual health? How can spiritual health be created for a woman against whom all Iranian laws justify violence? How can the spiritual health of an Ithna Ashariya [Twelver] Shiite such as myself, whose family was destroyed without any reason, be created? Why should I and my children enjoy spiritual health at all? How can those who don’t have bread to feed their children enjoy spiritual health?” Mehrangiz Kar’s late husband, Siamak Pourzand, was a political prisoner and was forbidden from leaving Iran to visit his family until his death in 2011. 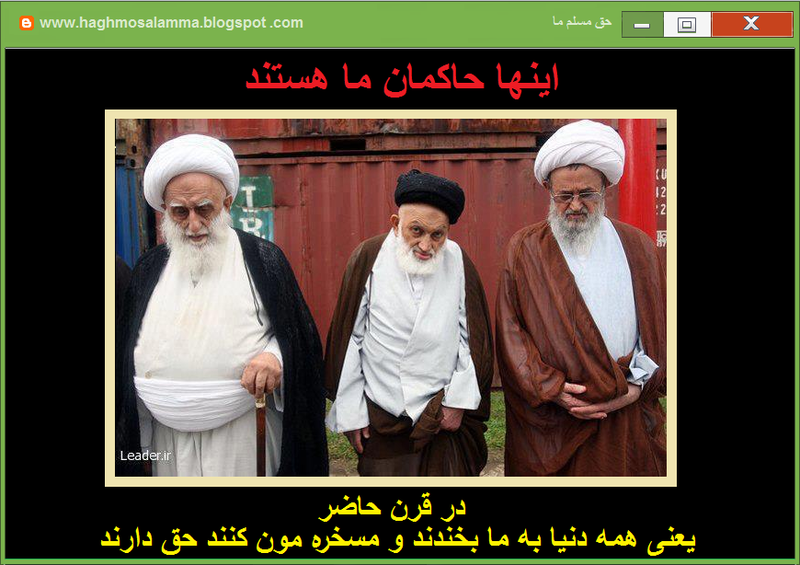 “Thank you Mr. Rouhani for thinking about the citizens’ spiritual health. But how are you going to provide this health? You would probably need to invite a discussion on what things other than economic issues are threatening the citizens’ spiritual health, in order to prevent it. Then Mr. Rouhani must glance at the situation of workers and women, for example, or remember that a bunch of lawyers are in prison not because they committed fraud or murder, but because they only defended the rights of other citizens,” she added. “In the Charter it is written that ‘Citizens must enjoy a happy life…’ But how? At a relative’s birthday party for their child, the police raided the house and the father of the child had a heart attack and died because of the stress he felt. The father of the family was destroyed for a birthday party! Things like this have happened a lot and continue to happen in Iranian society. I was many times at parties in Iran when the police arrived and turned the people’s joy to sadness and worry. I can’t understand what Mr. Rouhani’s solution for such things and for guaranteeing happiness is, and what power the government holds to stop the police and other forces who violate the families’ right to happiness,” said Mehrangiz Kar. “We already know who is obstructing the people’s happiness. But the Rouhani government should also determine who is obstructing the families’ happiness and confront them. One of my questions about this Charter is, how is this right to happiness provided and who is responsible for at times turning the people’s happiness into bloody events?” the human rights lawyer continued. Regarding the Charter’s emphasis on eliminating discrimination, Mehrangiz Kar said, “We see discrimination all over Iran. For example, Baha’is are not allowed to work. Even low level laborers are dismissed if they say they are Baha’is, or women cannot become judges under this regime, and many other types of discrimination. Mr. Rouhani knows all of this, too. My question of Mr. Rouhani is, on what resources available to him, or on what resources he hopes to have, does he base his respectable efforts in this area? We will forgo the enforcement guarantees if he talks to us about his hopes at least. He should tell us how he can or how he wants to give people a good, happy life, free of discrimination,” Kar said. “In certain areas, this Charter violates the Constitution. My question is, can a parliament pass laws that are not fully based on its Constitution, and that challenge that Constitution? In some other areas, it is an exact copy of that same Constitution. Really, how will this Charter be treated? This Charter cannot stand above the Constitution or become a re-approval of the same Constitution that was passed years ago,” she told the Campaign, referencing other problems with the Charter. “Mr. Rouhani is carrying the flag of the people’s vote. He cannot forget many things and limit himself to his short-term memory like many Iranians. He is not allowed. He must remember that many people voted for him, many people did not vote for anyone, and some people voted for others like Mr. Jalili. He must also remember that there is a silent opposition group in that country, who holds more potential power than all the other groups. This group did not vote for anyone. Mr. Rouhani must review all his strengths and weaknesses. I’m not talking about his personal weaknesses, I am talking about the weaknesses of a society that has very bitter memories of this political system, but cannot get over its memories, and therefore remains silent. But this silence does not mean agreement and Mr. Rouhani knows this quite well. Based on all of these, if he still insists on having his Charter, he can have it,” concluded Mehrangiz Kar. The Need In Middle East Countries ! Iran, Not For All Iranian !!!???? An Iranian Student from Belgium who have recently returned to Iran was arrested by the agents of the Ministry of Information and thrown in to jail , despite of President Rohani's call from all Iranian abroad who have not comited crime to return to Iran. 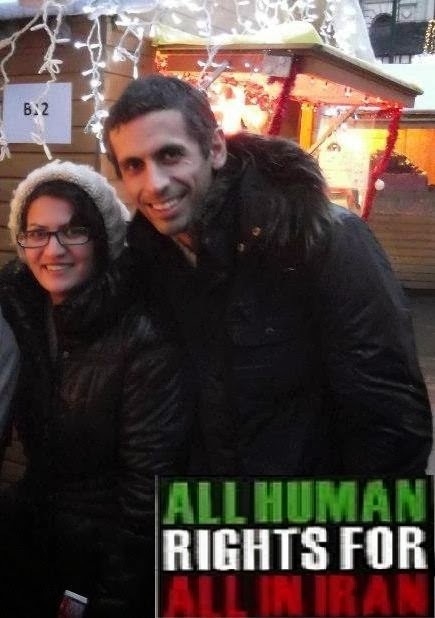 Mr. Hamid Babaei is a phd student in Belgium ,he returned Iran and was arrested ,interrogated and was sentenced by kangaroo court of judge Salavati to six years imprisonment , he is accused of espionage and colaboration with enemy countries. Is Belgium an enemy country? Or is all European countries enemy countries???? For us Iranian , These kinds of Charges are all bogus and political. Old classic religious style of Iranian families are no longer in place in Iran and the young generation have experienced the hard way of what a religious regime / a despot mean to them now? If in 2009 the middle class / students and youth were involved in the popular uprising ,the next will involve the poor or poverty driven people and this regime won't be able to resist in front of such movement . But ,regime like a quail putting its head into the snow/sand and feel knows everything and can control if such movement come along with public grievances. So, these type of arrest ,interrogation and jails or convictions in a kangaroo style Islamic regime court is understandable. Mr. Babaei is a very smart student , he has returned to Iran together with his family to visit his family members in Iran and was summoned by the Ministry of Informatio and was asked for collecting news from other students in Belgium and cooperation with the Ministry of Information.
" It is clear that the style of Iran during the presidency of Rohani in talking with world has changed and because of that,we see both side have come to some conclusion on the issue of nuclear energy , but there are no opening on the issue of Human Rights and up until now no UN representative are allowed to enter Iran." Based on a news from ISNA , Ayatollah Makarem Shirazi warned the media owners to follow the rules and regulation of the Islam when publishing news materials. He said : "Those newspaper owners whose papers were closed in the past because of violating the Islamic laws and trying to regain ownership permit must stay alert not repeating their unlawful activities." 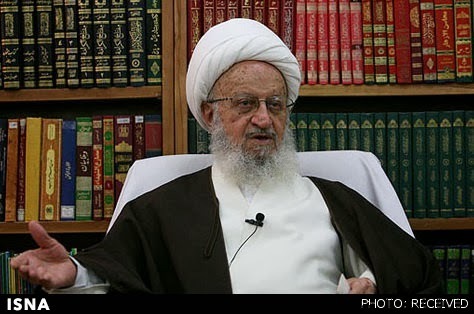 Ayatollah Makarem Shirazi said: "Islamic Republic Laws will pass through the filter of Guardian Council . " In the past Ayatollah Makarem Shirazi have acted more in favor of fundamentalist than reformists. Since the presidential coup in 2009 ,the Association of Journalist was ordered by judge Said Mortazavi to be closed and hundreds of journalists either arrested and sent to jail or escaped Iran into exile. Mr. Shamsolvaezin asked the official to lift the ban on the closure of the association's office and to allow the association to resume its activities. Migration of People with high IQ from Iran continues as Islamic regime in Iran continue its repressive policy ! 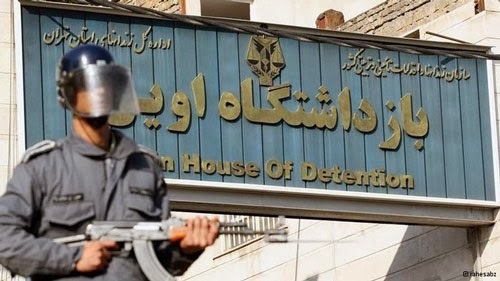 According to news, last Monday political prisoners of ward 350 in Evin prison in a protest against the transfer of four prisoners (who were security agents of the Islamic Republic) to ward 350, demanded these prisoners to be removed from ward 350, but prison officials instead threw four protesting political prisoners into the solitary confinement. These prisoners(formerly security agents) upon arriving into the ward 350 had created tension by chanting slogan against political prisoners and fighting with them and prison official had promised to remove them in five days but instead decided to let them stay in ward 350 and this created more unrest in ward 350. Those political prisoners who were sent to solitary confinement ward 240 were: Emad Behavar, Behzad Arabgol,Hasan Asadi Zeidabadi and Ali Kazemzadeh . Mr. Javad Momeni the head of Evin prison threatened the political prisoners to exile and told them it is the decision of judiciary officials to let the ministry of information's prisoners ( the agents ) to stay in ward 350. Up until now ,there is no news about the four political prisoners who were transferred to solitary confinement. The Managing Editors of "Bahar " and " Shahrvand Emrouz" Newspapers are convicted of crime ! 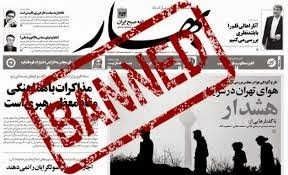 According to Fars News Agency , the media court today found the managing editors of "Bahar " and " Shahrvand Emrouz" newspapers guilty to publication of lies and propagation of prostitution. The panel of media juries found Mr. Hamid Atrianfar ( Shahrvand Emrouz ) managing editor and Mr. Said Pourazizi ( Bahar ) managing editor guilty. Mr. Pourazizi is accused and found guilty of publishing materials that are against Islamic regulation, creating dispute among different layers of society, insulting the holy religion of Islam, distribution of rumors and materials that are not true and publication of materials against the constitution . IRAN’S new government of President Hassan Rohani is facing mounting opposition at home for its endeavours abroad. The administration dodged any serious backlash from conservatives in Tehran for its interim nuclear deal with six world powers. But recent remarks by government ministers have caused discontent all the way to the top of the powerful military. On December 10th, in a speech at Imam Sadegh University in Tehran, Muhammad Ali Jafari, the head of the Islamic Revolutionary Guard Corps (IRGC), took a swing at Foreign Minister and chief nuclear negotiator Muhammad Javad Zarif, who on December 4th at Tehran University said that American forces would only need “one bomb” to destroy Iran’s military capability. “We consider him to be an experienced and expert diplomat, but he does not have experience in the military field to make these statements,” Mr Jafari said. 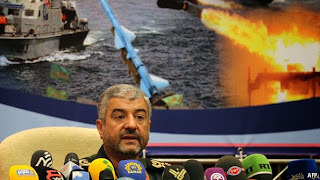 In fact, if America were to strike Iran with thousands of bombs, Mr Jafari continued, only 10 to 20% of Iran’s military capability would be destroyed. The criticism did not end there. Mr Jafari criticised some of the Rohani Government’s “methods” for being similar to those of the previous administration under the now widely-ostracised Mahmoud Ahmadinejad. The current government has become “polluted with Western doctrines and a fundamental change must be made,” Mr Jafari said. Meanwhile, 53 members (out of 290) of Iran’s parliament have summoned Mr Zarif to explain his comments. Indeed, Mr Rohani seems keen to curb the direct influence of the Revolutionary Guard on the government. He appointed only four IRGC veterans to his 18-strong ministerial cabinet. The president also replaced all the governors-general of Iran’s 31 provinces, who were chosen by Mr Ahmadinejad. 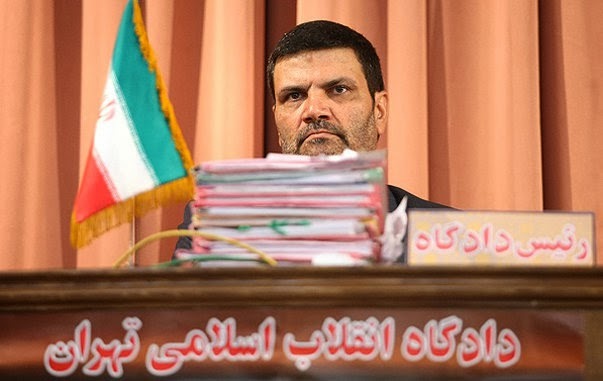 Among Rohani's new appointees, only four are connected to the Guard (that's the point: it is both in the cabinet and in the provinces he is purging the IRGC), while Mr Ahmadinejad had picked 17 provincial representatives from the ranks of the IRGC. Mr Jafari, a veteran of the Iran-Iraq war in the 1980s, considers the strength of Iran’s military as key. “What caused the enemy to sit at the negotiations table was the nation of Iran’s defense capabilities, which we hope to guard,” he said on December 12th in a speech at a congress for the Martyrs of Scientific Jihad. It is hardly the first time the commander has admonished a sitting government. While factions of the IRGC had it out for Mr Ahmadinejad during much of his presidency, Mr Jafari was also instrumental in checking the power of Mr Ahmadinejad’s predecessor. In a 1999 letter addressed to then-president Mohammad Khatami, to which Mr Jafari was a main signatory, 24 IRGC commanders gave the president an ultimatum, warning that if he did not deal forcefully with student protests ongoing at the time, their patience would run out. When government forces subsequently cracked down on the protests, they also spelled the end of much of Mr Khatami’s reformist agenda. So far, Mr Rohani has navigated the deep divisions within the Iranian system skilfully. 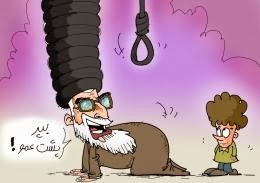 To avoid the same fate as Mr Khatami, he will have to know when to take a step back.